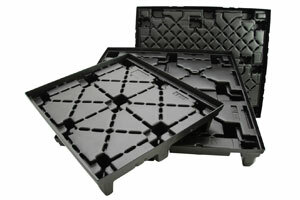 Need a reason to choose Vacuum Form Plastic Pallets over conventional wood pallets? 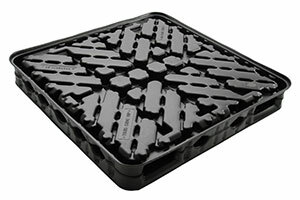 Here’s several. 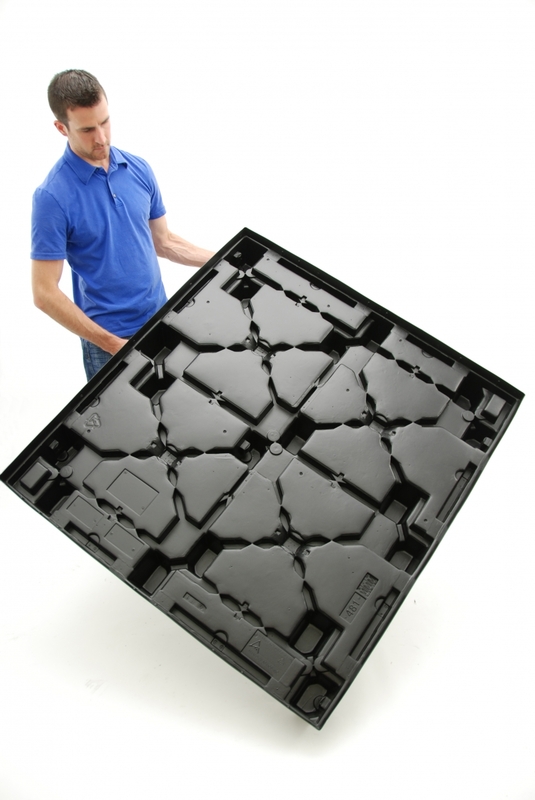 First, Plastic Vacuum Formed Pallets weigh significantly less making them easier to lift and handle safely. Because they’re reusable and recyclable, Thermoplastic Pallets are also more environmentally friendly. Allied Plastic Custom Pallets are manufactured through Plastic Thermoforming to meet established Federal International Standards. 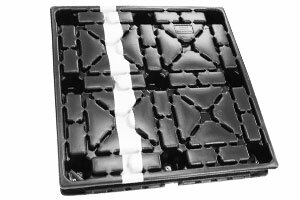 For wood pallets to meet these standards, they must go through heat treatment and fumigation processes – costly steps which Plastic Pallets eliminate. 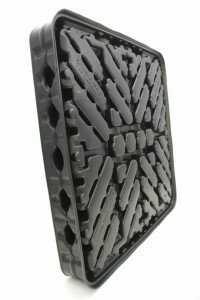 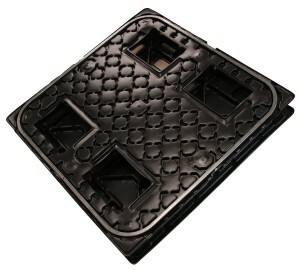 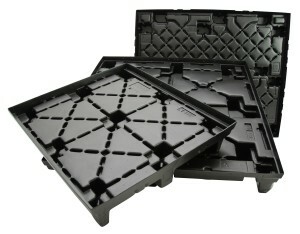 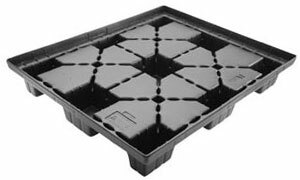 And the biggest reason to choose a Vacuum Form Plastic Pallet? 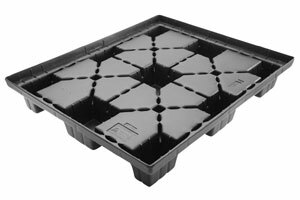 The bottom line. Custom Plastic Pallets are designed through Plastic Thermoforming for durability, making them a much more cost effective choice than wood pallets which often fall apart in mere months. 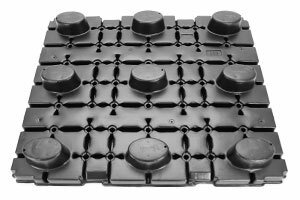 When you consider the years of service your Thermoplastic Pallet will provide, the savings can really add up. 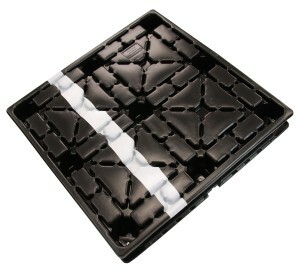 A Mirror Image Vacuum Form Plastic Pallet can be used both as a base pallet and a top cap for sleeve packs or tray packs. 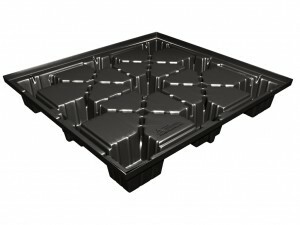 When used as a top cap, the legs interlock with the base pallet beneath. 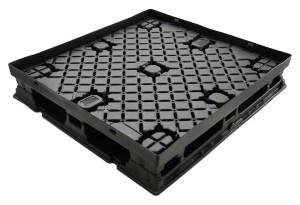 The Standard Nine Leg Plastic Thermoform Pallet is a standard base with nine legs for increased stability and strength. A Twin Sheet Thermoformed Plastic Pallet is two sheets of heated plastic Vacuum Formed into their respective molds, then pressed together, forming a sturdy bond along the perimeter and select points of the pallet. 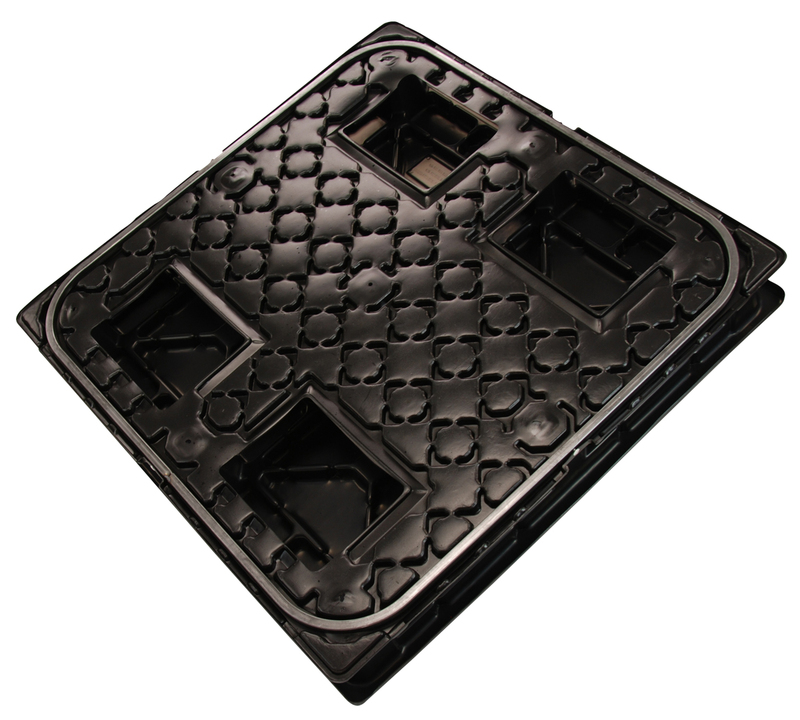 The Reinforced Vacuum Formed Plastic Pallet has composite or steel bars that are Thermoformed directly into the pallet to provide extra load strength. 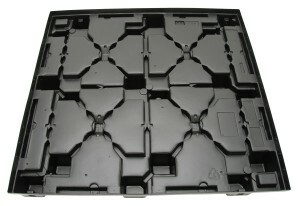 Ready to order Vacuum Formed Pallets from Allied Plastics? 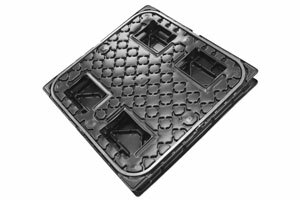 Click the PDF below to view available styles & sizes.